This photo was found at Barclays Bank and has been forwarded by Julia Quilliam. 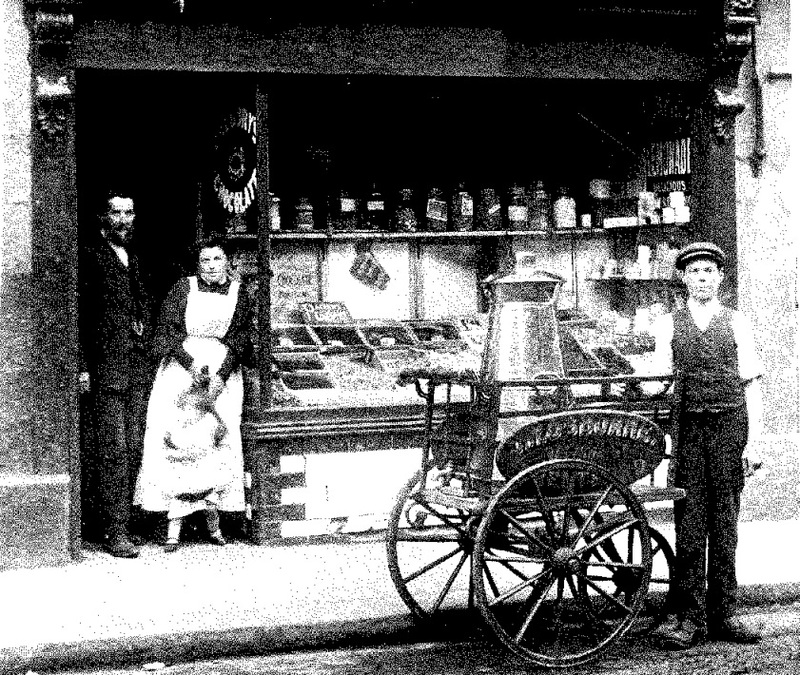 It shows the Osborne family shop at 315 High Street. The same photo appears in 'Brentford & Chiswick As It Was' and a different photo in 'Archive Photograph Series Brentford' from around 1902. Julia advises the photo below dates from 1905 and presumably shows the Osborne parents, a wriggly tot aged around 2 and an older son, standing proudly with the highly polished milk churn on a handcart. The plate on its side reads 'J.W.Osborne, 315 High Street, Brentford'. The window display is of loose confectionery; the only advertising sign I could make out was for 'Packers Chocolate Crispets'.